Crystals Are Wonderful! 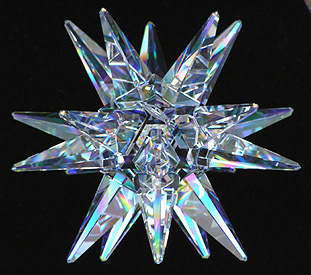 Crystal prisms are beautiful window decorations, and perfect gifts! In sunshine they make gay colorful rainbows! Try some crystals today! You'll wonder how you ever lived without them! They have lots of Shine, Sparkle, & Rainbows! Enjoy! Sundrop Crystal has Swarovski Crystal Prisms, other Austrian lead crystal, Egyptian and Czech Preciosa Crystal, crystals in every shape and size and color that make Cheerful Rainbows! Welcome To Our Candle and Crystal Shop!